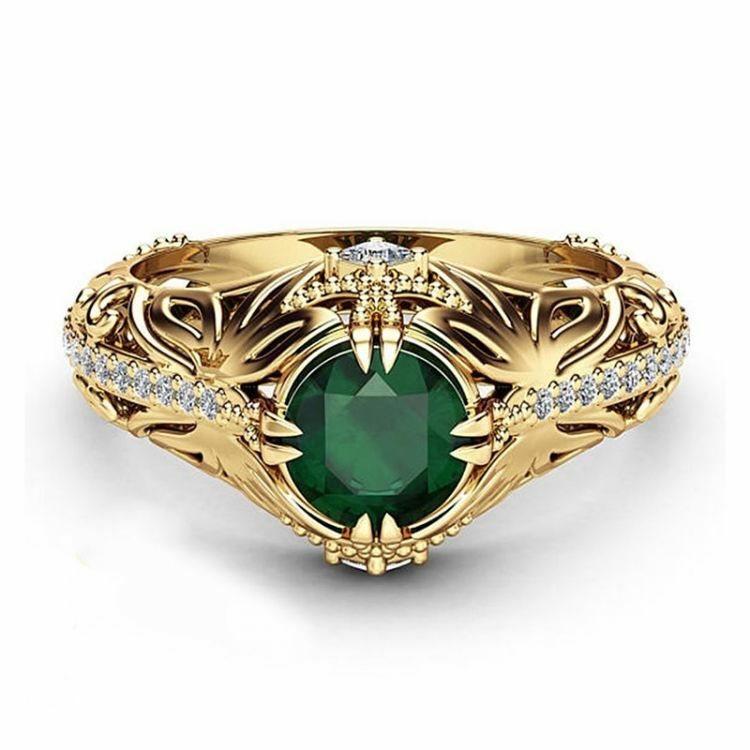 A round Emerald set in a well define distinctive ring band adds enchanting color to this eye-catching ring. It is colored in Gold and comes in sizes 6,7,8,9 and 10. Buy one for yourself or for that special May baby in your life.